Yvette Croft is the owner and principal therapist and has worked as a Remedial Massage Therapist for over 18 years. Yvette started Massage Essentials in 2008. Massage Essentials is a professional massage clinic located in Tuggeranong and specialises in a range of remedial and sports massage techniques. Yvette began studying Remedial Massage Therapy in 1994 with an ‘Introduction to Massage’ course at Canberra Institute of Technology. From there the passion grew and she continued on with her studies after the birth of her first child. Yvette completed an Advance Diploma in Applied Science (Remedial Massage) in 1999. 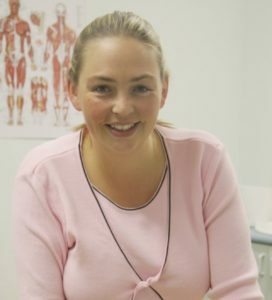 Yvette has worked with many different modalities including Chiropractors, Osteopaths and Physiotherapists. She has also been a Sports Massage Therapist for the Canberra Raiders for the last 5 seasons and has worked with many visiting NRL teams, including the Australian and New Zealand teams in April 2013. Yvette has worked with many elite and local sporting teams including Brumbies Rugby and Molonglo Juggernauts FC. She has also travelled with the ACT Athletics team to All Schools and National Championships for the last 3 years. Yvette enjoys working with many different clients to achieve the best results for the individual, using a variety of Remedial techniques. Some techniquies include Myofascial Release (MFR), Trigger Point Therapy (TPT), Deep Tissue Massage and advice on stretching and home exercises. Remedial Massage is used to treat muscular dysfunctions; work and sporting injuries and to restore function to injured muscles, ligaments and tendons. Sports Massage relieves pre-event nerves and tension. It can help increase blood circulation and protect against soft tissue injury. Post Sports Massage relieves muscle soreness, cramps and spasms. It helps to eliminate lactic acid build up and aids in cooling down. Massage during pregnancy aids in adjustment to the physical and emotional changes that occur; reducing muscular spasms and cramps.